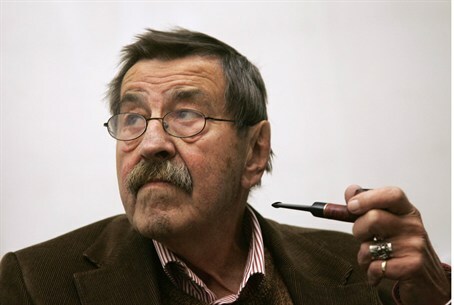 Israeli poet Itamar Yaoz-Kest, a Holocaust survivor, has penned a public "letter-poem" in reply to the "poem" in which German Günter Grass accused Israel of "endangering the already fragile world peace." The letter-poem was published on journalist Ze'ev Galili's blog, in Hebrew, under the name: "The Right to Exist: a Poem-Letter to the German Author." It addresses Grass, who has admitted to being a member of the Waffen SS during World War II, by name. The Samson Option – taking out Israel's enemies with it, possibly causing irreparable damage to the entire world – has been floated by Israeli strategists including Ariel Sharon, as a last-ditch option if Israel faces annihilation. Israel's Interior Ministry has banned Grass from entering Israel following his "letter-poem."